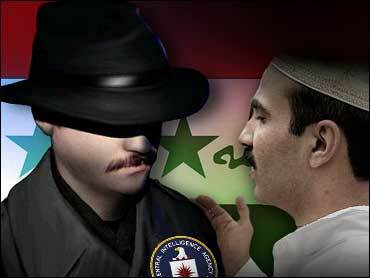 Did Iraqi Defectors Dupe U.S.? U.S. officials suspect that some of the intelligence used to justify war against Iraq came from defectors who were lying or reporting false information planted by Saddam Hussein's regime, a newspaper reports. In the five months since war began, no weapons have been found, and the case for war has come under scrutiny. President Bush withdrew an allegation that Iraq sought uranium in Africa, intelligence analysts accused the White House of skewing prewar data, and internal government documents revealed divisions over the nature of the Iraqi threat. The suspicion about defectors suggests waning confidence that weapons will be found. And while U.S. experts say they have evidence that Saddam planned to acquire materials for a small-scale weapons program, there is to date no evidence that any weapons were produced after the first Gulf War, says the report. According to The Los Angeles Times, several intelligence agencies are reviewing what defectors told them. "We're reinterviewing all our sources of information on this. This is the entire intelligence community, not just the U.S," said one senior intelligence official. The Times reports Iraqi operatives have said that fake defectors were dispatched to the West to mislead Saddam's enemies, and even legitimate defectors may have been allowed to see false intelligence, so they would report it to the West while believing it was real. Saddam may have manipulated defectors to hype his military power to regional rivals like Iran and Israel, The Times reports. Officials stress that defectors' debriefings weren't the only evidence against Iraq. Satellite photos and intercepted communications also helped the case. But defectors provided a crucial human element — human intelligence or "humint" — that bolstered the administration's already strong suspicions about Saddam's alleged arsenal. Defectors are known to be behind reports of mobile biological weapons labs and the British claim that Iraq was prepared to fire illegal weapons in 45 minutes. According to Secretary of State Colin Powell, defectors also alleged a link between Iraq and al Qaeda. An intelligence official told The Times the defectors "were just telling us what we wanted to hear." Even before the war, there were doubts about defectors inflating their knowledge to get asylum and money from the West. A senior weapons expert just back from Iraq was quoted in the newspaper saying: "We were prisoners of our own beliefs. We said Saddam Hussein was a master of denial and deception. Then when we couldn't find anything, we said that proved it, instead of questioning our own assumptions." The review of defectors is part of a broad CIA examination of the quality of their intelligence. It is waiting for results from the Iraq Survey Group, the 1,400-person team hunting for weapons evidence in Iraq. The Survey group is due to issue a preliminary report in September. Some survey group members are confident weapons will be found, as more Iraqis cooperate with them. Military leaders echo that hope, pointing to last month's discovery of buried Russian jets as evidence that Saddam might have hidden almost anything beneath the sands of Iraq. But The Times reports there is no sign yet of the stockpile of biological and chemical weapons the administration said Iraq hoarded, or of a large up-and-running program as the White House claimed. What the evidence collected so far does point to is that, sometime between 1996 and 2000, Saddam decided to drop large-scale WMD production in favor of laying the groundwork for a small-scale production of poisonous agents if they were needed, the Times reports. That effort would use dual-use civilian equipment to churn out chemical or biological weapons. "They set up dual-use facilities so they could cook up what they needed, when they needed it. But otherwise they would be making whiter-than-white washing detergent or something," said a survey team member. But there is no evidence any weapons were produced after 1991. According to a senior group member, no one on the survey team has found "the smoking gun." The Boston Globe reports the survey team will argue that Saddam dispersed weapons material around the country to elude detection, and planned to reassemble his weapons programs once inspectors had left. War supporters will argue that even a plan for a small-scale program was reason enough to oust Saddam. But critics will question whether war, rather than a continuation of U.N. sanctions and inspections, was necessary.